Dr. Parsa is not only an amazing surgeon! He is also very caring and meticulous! His expertise shows in his wonderful bedside manner overall knowledge of his field. I appreciate his knowledge, advice and professionalism for over 6 years. I trust him with my eyes and refers him to my family and friends! His staff is trusting and caring and I love seeing them! Words cannot express how thankful and appreciative I am to have found you. I am deeply grateful for you, for your generosity and caring nature as pertaining to my medical condition. As you know, I was apprehensive about having further surgery, but you are and have been reassuring and confident in the type of procedure you would perform in order to fix my eyelid from the beginning. The fact that you are not pushy and gave me the time and space to make the decision on my own allowed me to prepare myself mentally and emotionally, that really made a difference. Besides from that, your continuous generosity made me confident that you were the right doctor for the task at hand. You will never know how appreciative I am of that. I would also like to let you know how pleased I am with the results of the surgery. I have not felt this comfortable in years. My parents are also very grateful since this was my 14th surgery. You have a true gift. Thank you again for your patience, time, concern, and overall care. I pray that God continues to give you strength to help people who truly need life-changing medical procedures. Dr. Parsa is an amazing doctor. Warm and very caring. I had my eyes done a couple years ago and I couldn’t be happier. Dr. Parsa likes to take the conservative approach which I greatly appreciate in a doctor when it comes to cosmetic surgery. I also go to Dr. Parsa for Botox and he always knows just the right amount. The staff in Dr. Parsa’s office are all terrific! I found Dr. Kami Parsa on RealSelf a couple of years ago. He was one of the top doctors I found. I read many of the reviews patients left and they were all great. So, I decided to go ahead and set up a consultation with Dr. Parsa. He is very smart and truly knows what he is talking about. After consulting with a couple of other doctors, I knew Dr. Parsa was the one. I chose Dr. Parsa to perform the surgery. I had a great expericence with the surgery it’s self, everything went very well. I am so happy with the final results. I would 100% recommend Dr. Parsa to anyone who is looking for a upper/ lower Blepharoplasty doctor. Dr. Parsa really knows what he is doing. I have been bothered for years by my left eye feeling “tired”, manifesting in a a “droop”. My ophthalmologist diagnosed it as “ptosis” (drooping eyelid), and referred me to Dr Parsa for a consult. From the beginning, my experience has been exemplary. First, his assistant, Marie, is amazing-warm, compassionate, knowledgeable. After a comprehensive examination and paying close attention to my explanation of what I have been experiencing, Dr Parsa concluded I am NOT a candidate for the ptosis surgery. 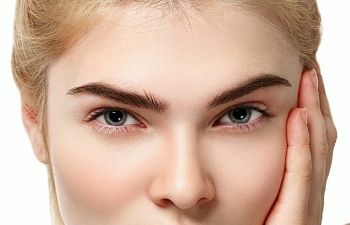 Rather, a corrective procedure is actually an eyebrow lift-much simpler, less invasive, far less costly. What a breath of fresh air to find a doctor who is is patient- centered and willing to not “sell” a more expensive job. His professionalism and apparent expertise were evident throughout. This is what healthcare in America should be all about. Dr. Parsa just has that something extra. That something extra I believe, is that rare combination of skill and artistry. He possesses both in great measure. I had Botox and filler and I am very satisfied with a most natural appearance. He was confident and did not let me experience any pain while he was working. He knows exactly what is needed. His prices are competitive, the office is gorgeous and his staff are accommodating. I simply relax in Dr. Parsa’s capable hands. You are getting top notch with Dr. Parsa! Dr. Parsa is far and beyond the best surgeon anyone can be lucky enough to find. He is not only a master in his field but also an artist with a scalpel. I had previously underwent surgery with another doctor and had awful results. Uneven lids, left with ptosis, and massive amounts of scar tissue that caused more drooping in one eye. I had seen other surgeons hoping to get some help as my eyes had looked so bad that I had become depressed and my quality of life was massively impacted. Some surgeons I saw seemed to be in a rush, some dismissed my concerns, and some were so arrogant I felt humiliated. Finally I found Dr. Parsa, I had come across his videos on YouTube and listened to countless testimonials that were so similar to my situation. After meeting with him I was positive I found the right guy! He is patient, genuine, sincere, and professional. I had my revision surgery done on Feb 18th and instantly noticed a huge difference, 4 days later I’m even more ecstatic as I’m beginning to look like my old self prior to being mangled by a different doctor. I cannot recommend Dr. Parsa enough, anyone else is a distant second to him!!! Thank you Dr. Parsa!!!!! I found Doctor Parsa to do be very honest and on target. He would not do a procedure on me because he wanted to make sure my allergies were under control. I admire a doctor who turns away business because he puts the patient first. I go to him for botox and I feel his skill of injection makes a little go a long way. Dr. Parsa gave me back my self confidence! I had surgery in August 2013 with another Dr and it left my eye oddly shaped. I was so self conscious and obsessed about it. I read great things about Dr. Parsa online so I scheduled a consultation and a few weeks later had my revision surgery and I am so HAPPY with the results! He is a great Dr. He took the time to make sure I was comfortable and to answer any questions or concerns that I had. Truly genuine. I highly recommend Dr. Parsa and his staff for any eye surgeries that you need done! In my original visit it was due to a lifelong congenital ptosis (lazy eye) of the right eye and it is so very minor that most people don’t notice it, only when I am tired is it somewhat visible. As a child it bothered me more as I had more ‘young’ fat of the lids there but as I get older the somewhat minor sagging skin on the lid makes it very less visible. He had me do a variety of eye test and visual exams and was honest to tell me that surgery is not recommended (mind me this was a second opinion of the first opthalmologist who recommended one of the levator muscle). So fast forward.., I am so glad I looked Dr. Parsa up as he was honest and I am happy 3 years later that I did not go through with it as it would of been for nothing. It is not visible to almost anyone I ask and what would of happened if I did? I would now like to see him for my melasma and skincare needs. He has proven to me he is honest and still knows his stuff. I have met many surgeons and Dr Parsa is the one that I chose to peform my eye surgery. He is a trained specialist in occuloplastics and specializes in difficult reconstructive eye surgery as well as cosmetics. From my consult to my recovery Dr Parsa was focused and caring. The final result was fantastic and I couldnt be happier. I am a 31 years old woman from New York City. My sagging upper eyelid bothered me since high school. For a long time I used eyelid tape to fix the problem and overtime it seemed it made the problem even worse. So, last year (2013) I started to research about eyelid surgery. First I planned to have it done by a plastic surgeon, but after reading so many bad reviews and people advising to look for an oculoplastic for this type of surgery, that’s what I did and I am so happy I did. It was during my online research that I found out about Dr. Kami Parsa. The great reviews, photos and video of the procedures he had done, made my decision to travel to CA to have my eyelid done by Dr. Parsa. I couldn’t have made a better choice. He is the kind of doctor that gives you a huge confidence and you just know you are on good hands. He is lovely, patient, explains everything you need to know, and makes you feel so relaxed. He was awesome during the whole time, from our skype consultation to the last day. Surgery was fantastic, recovery was fast, I felt no pain whatsoever, and almost no bruises, only a bit of swollen, which is completely normal. Now after 3 months, my eyes look amazing, no scars and so so natural, which was my biggest expectation! And Dr. Parsa, with his magical hands made an AMAZING job. I recommend him 100%. You can’t go wrong with him. Thank you Dr. Parsa! You are THE BEST!!! And I also have to say that all is his team is great, specially Marie. She is a sweetheart. Thank you for everything you and your team has done for me. I am forever grateful for your help and expertise. You are simply the best. You gave me my life back. I cannot thank you enough. For a long time I have thought of removing the “bags” under my eyes. I was watching eyewitness news and they mentioned Dr. Kami for “undereye” surgery. So, I went for it. The staff was very friendly, attentive, and quick to validate any concerns, if any. Dr. Kami was very professional, honest, and sincere about ensuring my satisfaction with the procedure. I have been very pleased with the results. You guys are the greatest, from you Dr. Parsa to Marie, the nurses, the anesthesiologist, and everyone, who assisted me for my surgery. Thanks a million for the hospitality, professionalism, and overall service we received. I want to thank you for the consultation you gave me this past week regarding my previous surgeries and potential future surgeries to correct what was done. I appreciate your honesty, your kindness, and your generosity. Although your suggestion of waiting was hard to hear, I know in my heart it was the best choice for me. My life has not been an easy one since my last surgery, and I want to thank you for giving me hope for the future. If I even had the opportunity to work for the #1 doctor’s office in California, you got my vote. I could not tell you how happy and grateful I am. You are truly the best. It is with sincere appreciation that I submit to you this thank you card. Your staff was patient and extremely helpful. I will always be grateful for the compassion, kindness, and understanding that Dr. Parsa showed me during my time in the office. With the strenuous, hectic, and mentally demanding career of a physician, it is comforting to know that there are doctors out there who care and listen to the patient to make them feel comfortable. Thank you so much. You are an angel disguised in human form doing God’s friendly work here on Earth. Even while still healing above and beyond my expectation. Thank you for all your care and patience with me. I just want to take this time to thank you for your kindness and caring ways as a great doctor. You made me feel very comfortable in which, as you know, in the past I was not. We need to have more doctors like yourself in this world. Oh, yes, and I love my eyes of course. Thank you. Just wanted to say thanks. Dr. Parsa, thanks for your generosity and care above and beyond your call of duty. Marie, thanks for making me feel at home and comfortable. Morgan, thanks for all the phone calls, even when I was not supposed to be there. Janet, you guys are rock stars. Good luck and be well. I just want to take this time to thank you for everything you have done for me. As you know, when I was first diagnosed with facial paralysis a few months ago, I felt like my life was about to end. After seeing several doctors, you were one of the only ones who spent an hour with me explaining everything that is possible. I have never felt so comfortable with a doctor. I want to thank you for sharing your gift with me, and I feel lucky to have you as my doctor. I have been trying to formulate the appropriate way to express my gratitude to you. It is difficult because it is mingled with all the emotions of Gabe’s ordeal that I have been experiencing. The process began with a tremendous amount of fear and anger which I had to disguise for Gabe’s sake. He kept saying that I needed to be positive. It was the only way that he would make it through all of this, and so we did that together, fortunately with some success. Interestingly, as he progressed in his recovery, my emotions welled to the surface and I had several trying weeks as I dealt with the challenge of ridding myself of the image of a brutal stranger beating my child’s face. I know that time will heal both of us physically and emotionally. And in all of this was you, our wonderful surgeon, skilled in both your medical specialty as well as your ability to offer us your calming and reassuring presence. All that you are and have done for us means more than I can express to you on this page. Know that I will forever be grateful to you for your extraordinary skills and for steering us with care through our crisis. P.S. If there is ever another family who would benefit from speaking to me or Gabe, please do not hesitate to have them contact me. I would be happy to offer support for anyone in a similar difficult situation. I was a patient of yours last year, and I want to thank you for your help and fine work. I wanted to wait a while to see how everything went before I wrote, and in appreciation, I want you to have the gift I send along, and to thank you and compliment your staff for such a professional and excellent job they all did. I also thought you might like an update now. Everything came out beautifully, I look wonderful, and I feel so much better. It is amazing how just a small thing can make such an improvement. I will feel much better about my appearance and my self-confidence in that area for years to come. Frankly, I think I will probably feel so much better for the rest of my life that I am extremely happy I decided to do this and cannot imagine now not having done it. I think this one thing was such an improvement. Thank you very much for everything and especially for doing such a concerned and careful job. I was very anxious about the procedure and doing anything like this. I am very glad I chose you. I will keep you posted on everything. Thank you so much for all you have done for me. This whole experience has been wonderful, and I love my results. Dr. Parsa is an amazing doctor who is very skillful at his work and extremely understanding and caring. The whole procedure, from the first day I entered Dr. Parsa’s office for the consultation to the day of the surgery, has proven to be above and beyond my expectations. Thank you to Dr. Parsa and his entire staff, plus the anesthesiologist, David, was a superb anesthesiologist. I’m soooooooooooooooooooo happy !!! !Thank you so much and MY VERY BIG THANKS TO Dr Parsa for his magic ! I truly felt cared for and my long trip was priceless in knowing that I was ingood hands from the start ! I’m being good- no sun- no swimming – no weed whacking !!!! But, I thought I’d share a little photo of what I’m coming home to…my little swimmers ! They have the end of year Banquet this Friday! * Disclaimer:All the before and after photos in this gallery are actual patients of Dr Kami Parsa. Note: Individual results may vary; patients may achieve different cosmetic results depending on medical history, selected procedure and a variety of other factors. This information is not intended to replace a medical consultation where a physician's judgment may advise you about conditions and or treatment options.